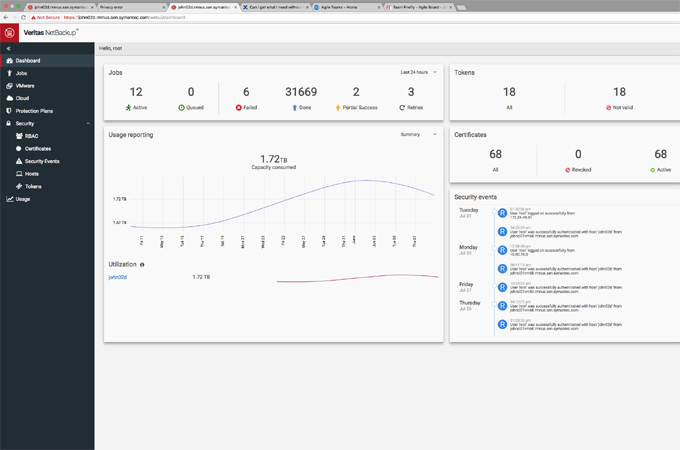 Veritas Technologies, a worldwide market leader in enterprise data protection, has unveiled Veritas NetBackup 8.1.2 with a radically improved user interface that simplifies how employees across an organization can effortlessly protect data and modern workloads. The new Veritas NetBackup 8.1.2 provides customers with best-in-class data protection technology and enhanced user experience. With an intuitive interface that enables authorised employees to easily protect and monitor their own data, on premises or in multi-cloud environments, Veritas NetBackup simplifies day-to-day operations and empowers employees to play an important data management role in their department. The new Veritas NetBackup 8.1.2 unifies data protection for multi-cloud, virtual, physical, and next-generation workloads with petabyte-scale performance, all managed from a single console. Engineered to protect traditional IT workloads, as well as big data analytics platforms, Open Source databases, and hyperconverged infrastructure, NetBackup is equipped to handle anything the modern data center can throw at it.